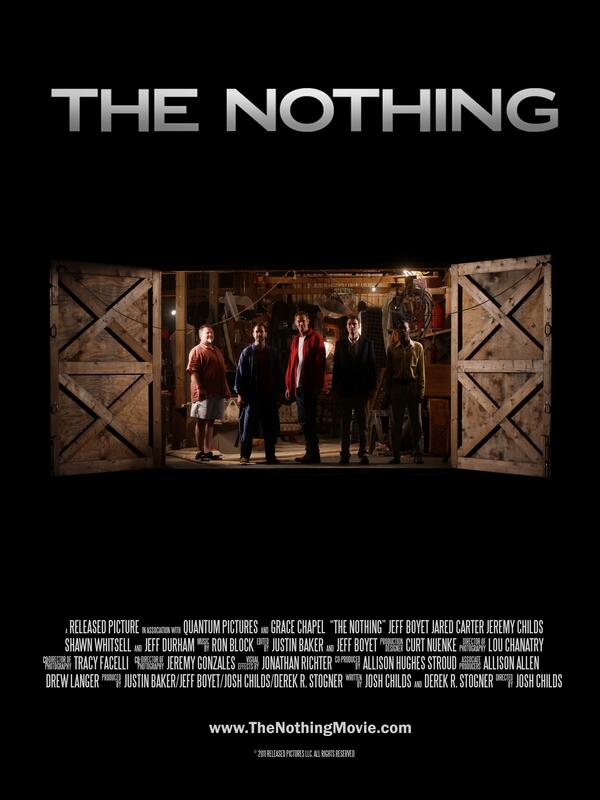 RELEASED PICTURES is thrilled to announce that THE NOTHING will have it’s WORLD PREMIERE as an official selection of the 2011 Nashville Film Festival. THE NOTHING was chosen from over 2,400 entries to be a part of one of the longest running film festivals in the country. THE NOTHING will screen on the festival’s opening night Thursday, April 14, 2011 at 5:45PM at the Regal Green Hills 16, right here in Nashville. We’re so glad to be debuting our film at this particular festival, as the film was, from top to bottom, a product of the hard work and passion of Tennessee filmmakers, and was shot on location in Franklin, Nashville, and Leiper’s Fork, TN. Thanks so much to our cast, crew, families, friends, and supporters for making this film a reality.